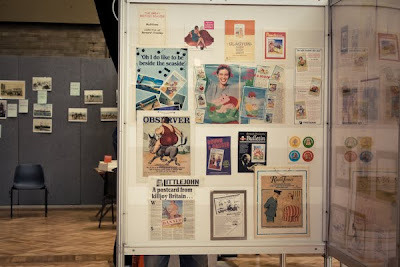 This Saturday I had the most amazing time at the Picture Postcard Show near Victoria Station, London. 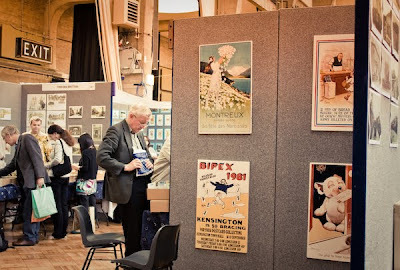 This show was organized by the PTA and they have regular Postcard fairs all around the UK every month and every other month in London. There was some serious buying going on with some postcards on sale for as much as £200 each! This year's theme was 'The Great British Seaside' and they had some very interesting and unique postcards from private collectors. I don't really buy anything as a serious collector, just anything that's visually interesting. A few of my purchases.. 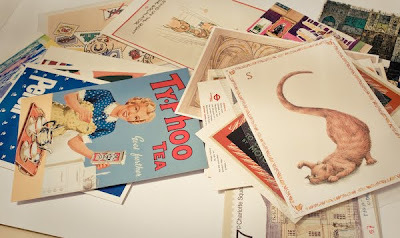 I bought some early 19th Century Advertising Postcards of Typhoo tea and Persil washing powder and a lot of London Underground reproductions of original posters. 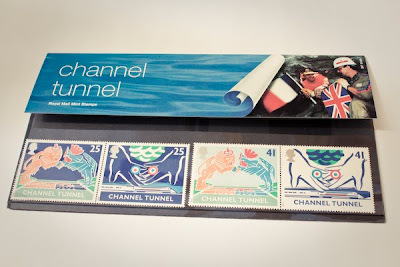 This was my best buy of the day... Royal Mail limited edition Channel Tunnel stamps issued in 1994.